Workplace injuries happen all across the country every day, and Alabama employees should know their rights after suffering injuries on the job. Every worker has the right to a workers’ compensation claim without fear of punishment or interference from employers. It’s important for all Alabama workers to know how the state’s workers’ compensation system works and what to expect from the claims process. If an injury or illness arises from work, the affected employee has the right to medical care at the employer’s expense. This is why all employers in Alabama carry workers’ compensation insurance. In the event a workplace injury leads to medical expenses and lost wages for the injured employee, workers’ compensation benefits can offset the economic impact and help the injured employee recover. When an injured employee files for workers’ compensation, the employer must provide a list of doctors who can provide treatment. The employer’s insurer typically selects these doctors, and the employee must choose one of them. If the employee does not believe the first selection offered appropriate or accurate treatment, the employee has the right to a second opinion from another doctor on the list. A workplace injury may force the injured employee to miss work for a few days, weeks, or even longer. Workers’ compensation generally offers lost income benefits equal to a portion of the claimant’s average weekly wage. Depending on the severity of the employee’s injury, he or she may qualify for temporary disability benefits or permanent disability benefits. Alabama recognizes scheduled awards for specific types of injuries. For example, the list may contain a scheduled award for loss of vision in one eye set at a specific amount and the scheduled award for total loss of a leg at a different amount. Unscheduled awards are also possible for injuries that do not fall within the guidelines of the state’s scheduled awards. For example, internal organ damage or a spinal injury would be unscheduled injuries. It may be impossible for an injured employee to return to his or her previous job, but the employee may not qualify for total permanent disability benefits. In such an event, an employer may need to provide job training to place the employee in a new position. Vocational rehabilitation can help a person adapt to his or her job responsibilities or learn new skills to take to a different type of employment. An employer may not fire an employee or take any other adverse or punitive action against the employee simply for filing a workers’ compensation claim. Doing so constitutes retaliation, and an employee who encounters any type of employer retaliation should speak with an attorney as soon as possible. Some employers may dislike seeing their workers’ compensation premium rates increase after injured employees make workers’ compensation claims, but they still have a legal duty to process these claims in good faith and refrain from retaliation against employees who make these claims in good faith. 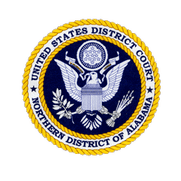 An injured worker may believe that his or her injuries exceed the scope of recovery offered by Alabama’s scheduled awards or believe that the workers’ compensation board unfairly denied or delayed a claim. It’s vital for injured employees to refrain from accepting any type of settlement that may be contingent upon the employee releasing the employer from future liability. If an employee accepts such a settlement, he or she may not be able to pursue further legal action in the future. An experienced workers’ compensation attorney can help an injured employee navigate the claims process and determine the best course of action after a workplace injury. It’s possible that the injured employee may have grounds for legal action against another party for additional recovery beyond the scope of workers’ compensation.